I recently watched Sinbad and the Eye of the Tiger, which co-starred the adult children of John Wayne and Tyrone Power. So, I thought it'd be fun to write about actors that were the children of classic film stars. The challenge with this kind of post is narrowing the topic to a manageable size. You could write a book on it (and there probably is one). Also, many movie star children became famous in their own right (e.g., Michael Douglas, Lon Chaney, Jr., Carrie Fisher, the Barrymores, the Carradines, etc.). 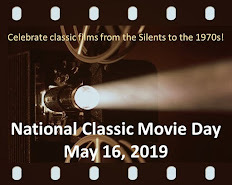 For this post, I just want to focus on a handful of lesser-known--but still interesting--classic film star offspring. Sean Flynn - Errol Flynn's son with Lili Damita made his acting debut at age 15 opposite his father and stepmother Patrice Wymore in an episode of The Errol Flynn Theatre. His first film was 1960's Where the Boys Are, though he was uncredited and you'll miss him if you blink. He spent the rest of the decade starring in European films, the most famous being The Son of Captain Blood. He left acting in 1966 and became a respected photojournalist. He was under contract to Time Magazine when he disappeared in Cambodia in 1970. It's now believed that he and fellow photojournalist Dana Stone were captured by guerillas and later killed. Sean Flynn was declared legally dead by his mother in 1984. 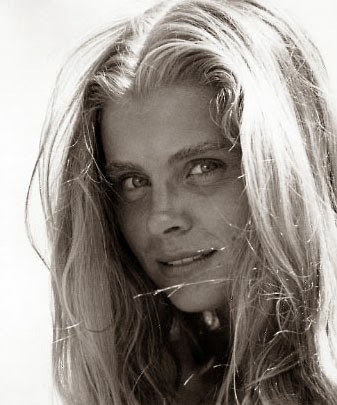 Taryn Power - The daughter of Tyrone Power and Linda Christian was born in 1953 and was only five when her father died of a heart attack. She appeared in just eight movies, with the most notable ones being The Count of Monte Cristo (1975) with Richard Chamberlain and the Ray Harryhausen fantasy Sinbad and the Eye of the Tiger (1977). The latter film also starred Patrick Wayne, the son of John Wayne. 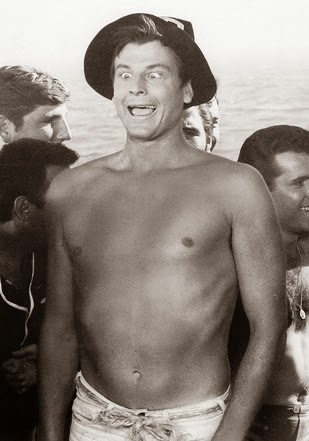 Jody McCrea - Best known as a regular in the Beach Party films, Joel Dee McCrea's parents were Joel McCrea and Frances Dee. After a stint in the Army, he had small parts in several 1950s films and co-starred with his father in the short-lived TV Western Wichita Town. He appeared in six of the seven Beach Party movies playing the same dull-witted character who was known as Deadhead (Beach Party, Bikini Beach, Muscle Beach Party), Bonehead (Beach Blanket Bingo, How to Stuff a Wild Bikini), or Big Lunk (Pajama Party). He even recorded a novelty song in support of Bikini Beach. Jody retired from acting in 1970 and became a rancher. He died in 2009 at the age of 74. Christopher Mitchum - The second son of Robert and Dorothy Mitchum appeared in over 60 films from the 1970s through the 1990s, including three John Wayne Westerns: Chism, Rio Lobo, and Big Jake. He served on the Board of Directors for the Screen Actors Guild in the 1980s. A political conservative, he ran for a Congressional seat in 2012 and plans to run again later this year. He and his wife Cindy have been married since 1964 and have four children. James Mitchum - Robert and Dorothy Mitchum's oldest son made his first credited appearance in his father's moonshine drive-in classic Thunder Road (1958). He played his father's younger brother! He carved out a niche as a supporting player, sometimes playing unsavory characters (he's the de facto villain in Ride the Wild Surf, one of my favorite sand-and-surf pictures). His only "A" picture was the all-star In Harm's Way (1965). Patrick Wayne - Born Patrick John Morrison in 1939, the Duke's son appeared in nine movies with his father and had significant roles in McLintock!, The Green Berets, and Big Jake. He performed admirably as the dashing lead in two modest 1977 fantasy films: Sinbad and the Eye of the Tiger and The People That Time Forgot. Alas, major stardom eluded him, though he continued to appear regularly in films and on television throughout the 1980s. 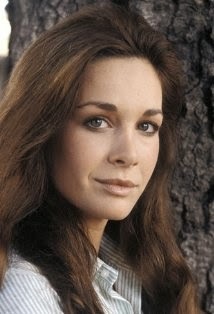 Mary Crosby - The daughter of Bing Crosby and Kathryn Grant is best known for playing Sue Ellen's sister, Kristin Shepard, on the TV series Dallas. 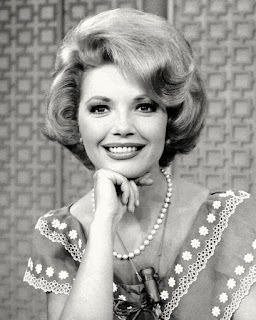 The devious Kristin secured her place in the annals of TV history when it was revealed that she shot J.R. in one of the highest-rated TV episodes of all time. Mary Crosby has appeared in numerous TV series and miniseries. She had little success on the big screen, though she made a spunky heroine in the action-fantasy The Ice Pirates. 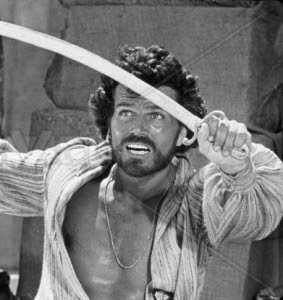 It's interesting to note that Mary's mother was the female lead in The 7th Voyage of Sinbad (1958), which sorta connects Mary to Patrick Wayne and Taryn Power. Very interesting article, Rick. How sad to learn about Sean Flynn's fate. He sure looks like his dad, doesn't he? Jody McCrea looks like his dad too, as does James Mitchum. How heartwarming to learn that Christopher Mitchum and his wife have been married 50 years. In today's society, that is a major accomplishment. I really enjoyed this fun post. Thanks. What a clever post, Rick! I was saddened to read about Sean Flynn many years ago. 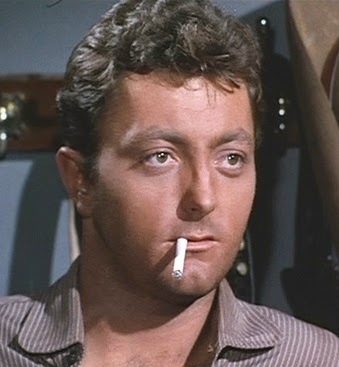 The child who bears the most resemblance to his father is James Mitchum. I truly did a double take looking at that photo! Wow! Does James Mitchum EVER look like his old man! I first saw Taryn Power in an episode of The Hardy Boys that we had on tape at home. She looked familiar but I didn't know of her famous father until researching Tyrone Power's family tree. This is an interesting post, Rick. Like Patrick Wayne and Christopher Mitchum very much, so you know how much I like BIG JAKE. Maybe not great actors, but very likeable screen presences.